At 1:30 pm today at the grand opening of the newest Amplify Credit Union branch at 607 Congress Avenue, Amplify President & CEO Paul Trylko will announce a $12,000 donation to the Austin Parks Foundation for the purchase of the first Imagination Playground in a Box for Austin. 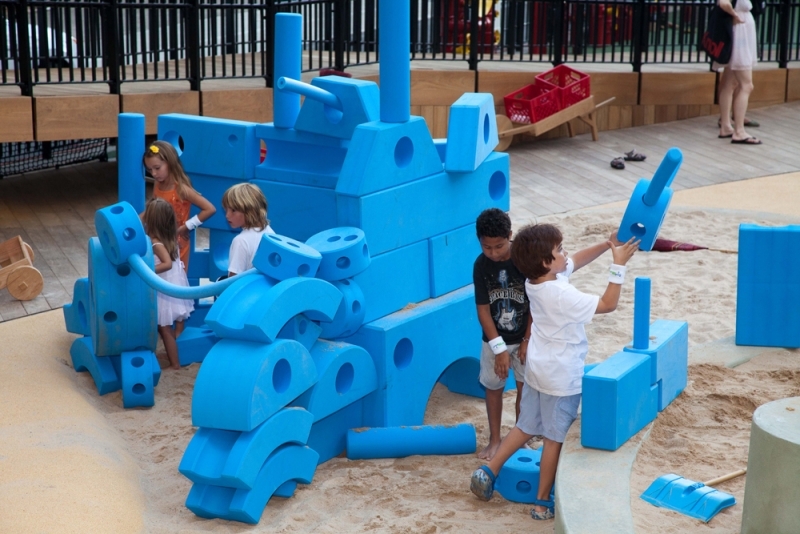 The Austin Parks Foundation will offer the portable playground at events at Republic Square and other parks in Austin beginning in early 2011. We’re very excited about this donation, we saw an early prototype two years ago at a urban parks conference in Pittsburgh and knew we had to get one. We’re very grateful to Amplify for making this possible and offering to work with us to bring it to parks in Austin.